This was an excellent trip full of new insights, discoveries, and friendship. I trained for the first time in the new honbu dōjō. I like it. I met old friends and exchanged a lot. Sensei’s classes are brilliant as usual and full of subtle points and concepts: Karada gaeshi, ishitobashi, sanbon, Nuki gaeshi. 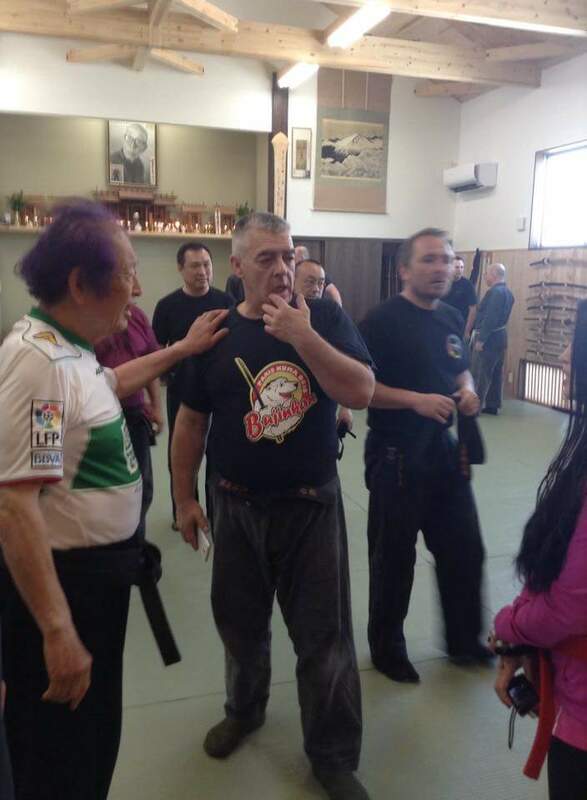 I enjoyed training with the Dai Shihan: Senō, Nagato, and Noguchi and revisit the denshō with their eyes. But above all I enjoyed the privilege of spending some time with our Sōke in Saitama, and in Noda. Thank you for the bears. 1. Paris Taikai 2015: 3 days of training with Pedro, Peter, Sven, and Arnaud. Saturday 11th, Sunday 12th , and Monday 13th of July.